In our catalogue you can find a range of professional Samurai Swords forged by hand: Iaito, Katana Shinken, Ninja swords, Samurai swords, decorative swords, Tachi, Nodachi, Wakizashi, Yari, O-Katana, Shirasaya and many other articles for your workout. Our products are sold not only in UK but throughout the world. Our priorities are product quality and customer satisfaction. 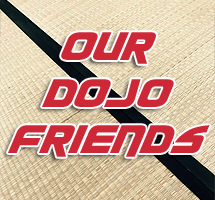 In addition, our sword shop offers a wide range of garments for martial arts, such as Keikogi, Tabi and Hakama for Iiado, Ninjutsu, Aikido, Karate, Kendo and Judo. 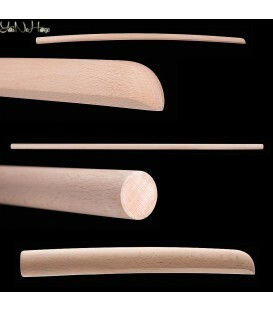 Our wooden weapons are characterised for their high quality and fine craftsmanship. Bokken for Katori Shinto Ryu, Itto Ryu, Iwama Ryu, Yagyu Ryu Shinkage, Togakure Ryu, Kashima Shinto Ryu, Kukishinden Ryu. 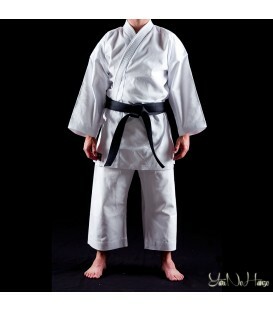 We also offer Bo, Jo and Hanbo in different models. We appreciate the many excellent opinions of our satisfied customers: reviews of which we are very proud. Our thanks to everyone who voted for us. We can assure you that you will enjoy the service and quality that we promise. Would you like to have the opportunity to check the authenticity of our customers' opinions? We would be delighted to receive your opinion after your first order. Paying via PayPal your purchase will be protected without additional cost, in other words, your money is not at risk. In fact, in the event of errors in delivery and/or refunds, thanks to the PayPal system you will be refunded without problem. Naturally payments can also be made by bank transfer. If you are not satisfied with our product we will refund your payment within 50 days, as stipulated by law. To return the product it is necessary to contact us within 50 days of making the purchase. In this case, we would also ask you to explain the reason for the return so that we can continue to improve our service and range of products. We want to inspire the confidence of our customers and make their experience completely satisfactory. Our customer service is always at your disposal in order to offer a satisfactory response to all your questions. Consequently, we are available 24 hours a day, 365 days a year. Who doesn't like to receive a gift? For this reason KatanaMart often adds a gift for purchases made such as a sword support, Katana Kake, Swordcare and Tanto (typical Japanese combat knife). 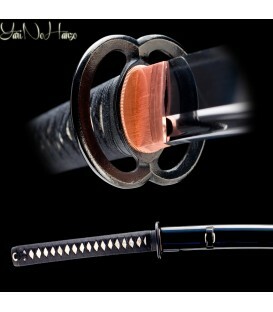 Buy Samurai swords and Iaito in our shop today! 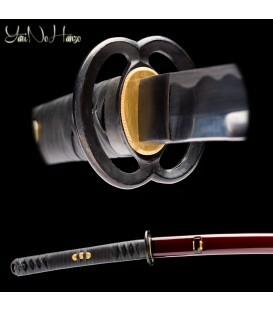 24-hour browsing on our on-line catalogue, find your Katana and order now. It is very easy!